Today I’m linking up with Stevie of A Cornish Mum for 10 Things Linky! I’ve previously posted a similar post but here are 10 random facts about me! Some of them you may already know if you’ve been reading for a while. 1) I’m a long time Neighbours fan! I’ve been watching it on and off for years but I’ve been watching it daily for the last 4 years. 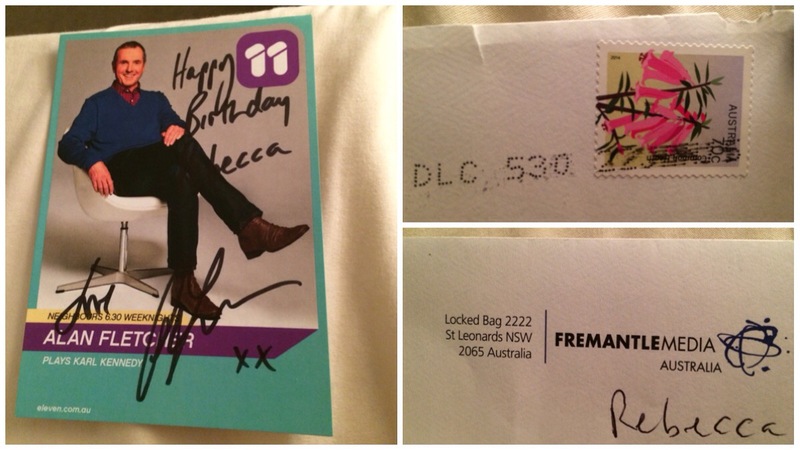 I even got a birthday card from Alan Fletcher aka Doctor Karl Kennedy! 2) I have a 14 month old little girl and 5 months pregnant with our second – another girl! 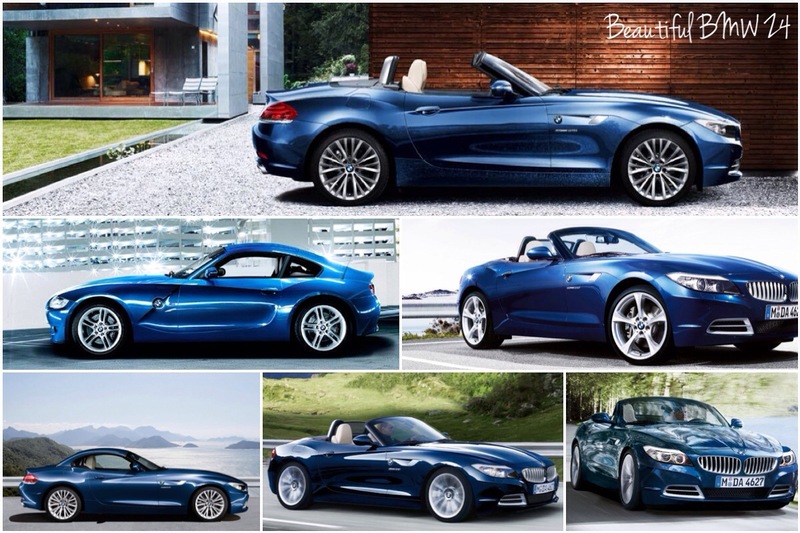 3) I would love to own a BMW Z4. I think it’s such a beautiful car!! And it’s the only convertiable that I can ever see me being able to afford! What I would really love is a Bugatti Veyron. 4) I hate dancing! Really really do! Our first wedding dance was painful! 5) I’m tee-total and always have been. Nothing to do with religion it’s purely a personal choice thing. 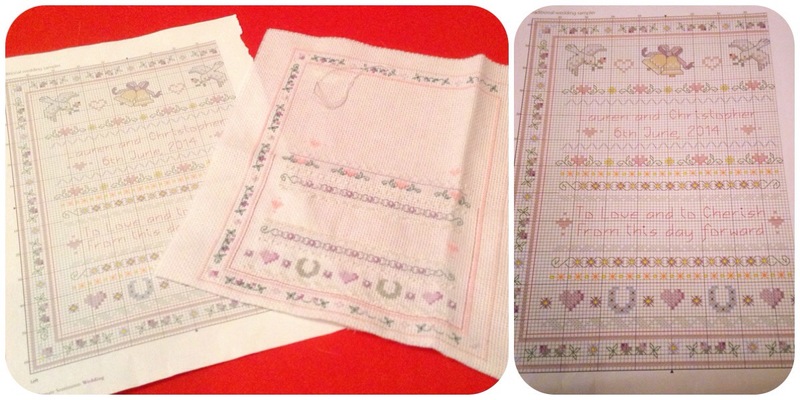 6) I’m a cross stitcher! I’ve only ever completed 4 projects in my whole life! And even of those I’ve only had 2 framed. I’m currently working on another wedding sampler though. 7) I didn’t go to university. I had more than enough of studying after my A Levels and ended up getting a job instead. I did more studying at work than if I’d gone to uni! Got three qualifications through work! 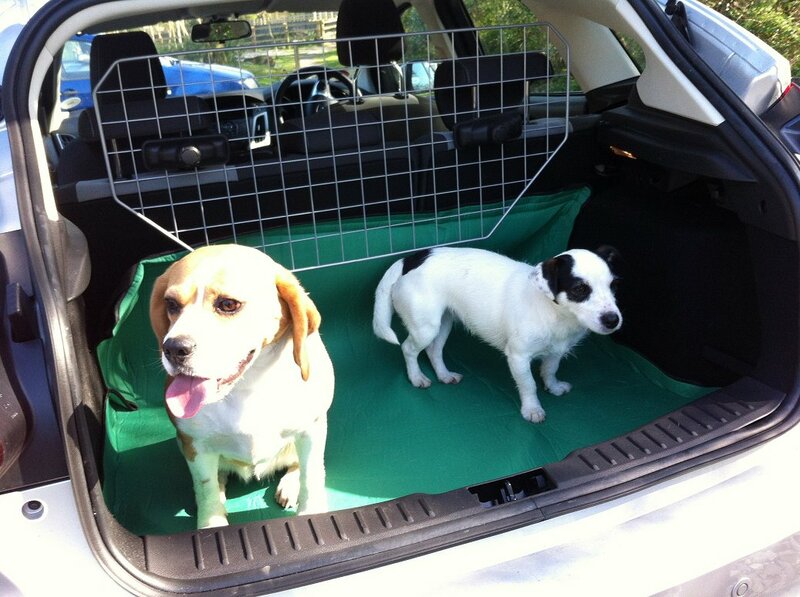 8) I own two dogs – Megs and Gemma! They’re cutie pies but recently they’ve been getting on my nerves so much! 9) I’m currently into Nashville! I love the music, I love the story, I love it all! I just wish series 3 was on in the UK! 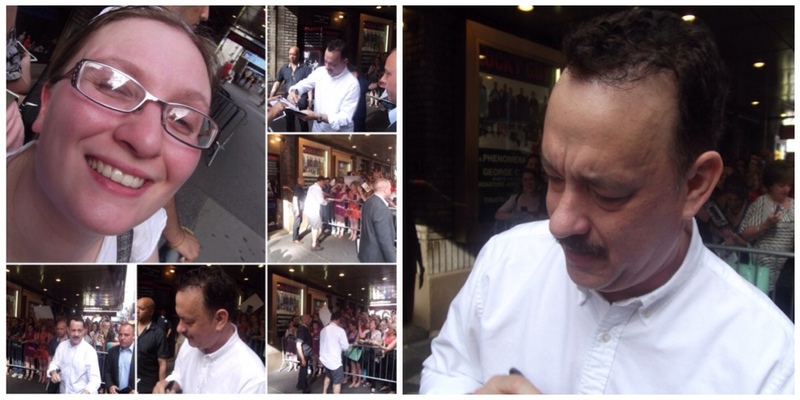 10) I’ve met a few celebrities… The League of Gentlemen, Robert Lindsay, Stephen Gately and Tom Hanks. If you fancy joining in with the 10 Things Linky then head on over to A Cornish Mum’s blog! Great post! Meeting Tom Hanks is actually on my bucket list hahaha. Jealous that 1) You got a card from Carl! Did you see the Neighbours – Eastenders spoof? 2) And that you saw Tom Hanks. I am not tee total, but I have had maybe two glasses of wine since last year – I don’t miss not drinking at all and I can tell my body thanks me for it as I have also not been sick since I stopped drinking wine/coffee/coke etc. And I would love a Bugatti Veryon. Sometimes our dog gets on my nerves too, but I wouldn’t be without her! 1) I have not seen the Eastenders spoof no! If you want a birthday card from Karl then you need to join his mailing list! 2) Getting to see Tom Hanks was a pure fluke! I just happened to walk down the street where he was doing a show. Stood outside the Stage Door and voila! I’m tee-total but my vice is chinese takeaway and tea! Cannot cut out tea so kudos to you for doing so! As much as I winge about the dogs, I love them to bits really! I enjoy a glass of wine, but I don’t drink anywhere near as much now as I did at uni. I don’t have a problem with people drinking. I just never understood the attitude of drinking so much that you can’t remember anything! They are cute but a complete pain in the bum at times! I’m a new blogger and yours is just fab. Two dog household here too am very much turning into the eccentric old dog lady haha!